Before scrapping a car or sending your vehicle to a scrap yard, you might have many questions in your mind. For example, how to get my car scrapped, I need my car to be collected for a particular location – is it possible?, etc. In order to answer all your queries, we have prepared a list of frequently asked questions with their relevant answers. They will help you to know more about the scrapping industry and their working procedure. What if my insurance on the vehicle is expired, will it be accepted by the scrap yards? 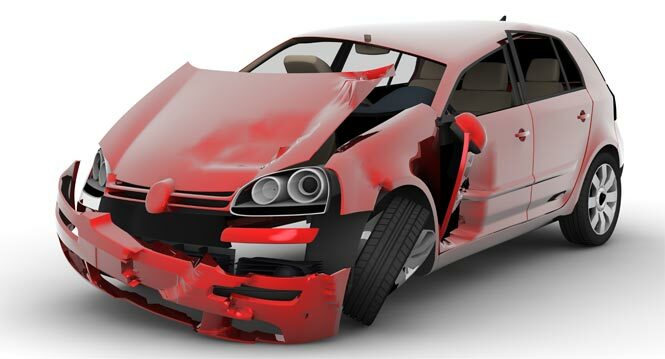 Your car doesn’t need to be insured in order for a scrapping company to scrap it. However, you’ll not be able to drive it legally to our scrap yard, therefore you have to call for a scrapping company to come and collect your vehicle from your place. Do I need to notify DVLA before sending my car to a scrap yard? Once you have dropped off your car in the scrap yard, or it has been collected by the company, you will definitely need to retain section 9 of the car’s V5. Complete the form and send it to the DVLA. Also, let your scrapping agent know if you want a certificate of destruction. If you have given them the logbook, the agent will complete a COD with the DVLA in due course. But please remember it may take 2 – 3 weeks to receive your certificate of destruction. What if I want to keep my personalised registration plate? To keep your personalised registration plate, simply go online to the DVLA (Driving Vehicle and licensing agency) website and fill in the V778 retention document. As your personalised registration plates is in retention process, you can call any scrapping agent for car collection. Most importantly, please remember that once your car is gone to the scrap yard, you might not be able to keep your personalised registration plate. What if I want to strip the for parts before it goes to the scrap yard? If the vehicle is collected and it is complete, no part is missing, the car will be priced accordingly. However, if any part is missing from the vehicle, the price will be based on the weight only. Can I collect unused tax from DVLA after scrapping the car? Once DVLA has received the information that your car has been scrapped or is in scrapping yard, you will be automatically refunded any unused or complete month tax. Do I need to be present at the time of car collection and how much time will it take? You really don’t need to be present at the time of collection of your car but it would be appreciated if any friend, relative, or neighbour is present at that moment. All scrapping agents want that someone should be there at the time of collection with relevant ID proof. In addition, the payment would only be made to the person available there either by cash or cheque. Also, it only take 10 – 15 minutes for car wreckers in Auckland to collect your car from the desired location. Is it important to provide V5C document to the scrap yard? V5C is a legal document also known as the log book. It is provided by DVLA at the time of vehicle registration. The V5C represents the registered keeper of the vehicle rather than the owner. Ideally, scrapping firms need the log book to give you a certificate of destruction through the DVLA.